On Wednesday, October 17, HBO Sports vice president Peter Nelson showed up to the Marriott Marquis in midtown Manhattan to partake in a panel on “storytelling” in documentary film, as part of the Sports Business Journal’s annual media conference. Among the topics that Nelson broached were the record viewership that tuned into “Andre the Giant” and the inception of “Barbershop,” the new chat show produced by and featuring Lebron James. But looming over the discussion like a dark cloud was the recent news that HBO Sports would forgo live boxing from their programming slate starting in 2019 — a shocking, although not completely unforeseen, announcement. Between budget cuts, expanded competition, and the exodus of elite talent, boxing at HBO had been on the decline for several years. Still for more than 40 years, the two were inextricable. 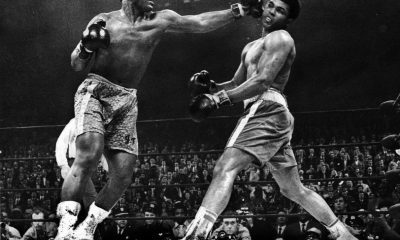 Household names like Sugar Ray Leonard, Mike Tyson, Roy Jones Jr., Oscar de la Hoya, Manny Pacquiao, and Floyd Mayweather Jr. all, at one point, captured the zeitgeist by fighting on the premium channel. Indeed, long before its scripted series began stockpiling Emmys, HBO was associated with two things: movie reruns and boxing. Meanwhile that same day, 10 blocks south at Madison Square Garden, Mexican superstar Saul “Canelo” Alvarez was preparing for a press conference to announce his New York City debut on December 15 against Rocky Fielding. That was just the teaser. The real headline was that Alvarez had signed with the streaming platform DAZN for a staggering $365 million for 11 fights, or five years. John Skipper, DAZN executive chairman and ex-ESPN head, opened the presser by declaring that “Today represents a major shift in over-the-top sports content.” Alvarez, the biggest active draw in North America, has appeared exclusively on PPV — mostly on HBO — for the past five years going back to his fight with Floyd Mayweather Jr. in 2013. To see Alvarez fight once meant viewers had to pay upwards of $85, a hefty financial proposition. Now, it would cost viewers $10, or the price of a monthly subscription fee to DAZN. In a time in which cordcutting and rising rights fees have battered the traditional television model, streaming, or OTT, has been hailed as the new frontier of the sports media landscape. For the most part, its adherents are still striving to find the right balance between content and monetization. In the case of DAZN, the company is also at pains to create a public profile, as it remains virtually unknown in the United States, unlike, say, ESPN+, which benefits from its association with “The World Wide Leader in Sports.” That said, DAZN is fairly well known internationally, in countries such as Italy and Japan, where the company owns extensive baseball and soccer rights. The Alvarez signing, to some extent, provides an instant stimulus for their US enterprise. In years past it would have been unfathomable to imagine boxing without HBO at its helm. But there it was, on Wednesday, in striking juxtaposition, a glimpse at the future of the sport without the premium cable giant: Alvarez leaping headlong into the booming streaming business with a quarter-billion dollar contract in his pocket; the HBO Sport head talking about documentaries at an industry convention. Yet, as always, the sport moves on. The emergence of Fox as a boxing player, the continued commitment from Showtime, the growth of ESPN and ESPN+, and the arrival of well-heeled disruptors like DAZN, are signs that the business is more than prepared to fill the void left by HBO. 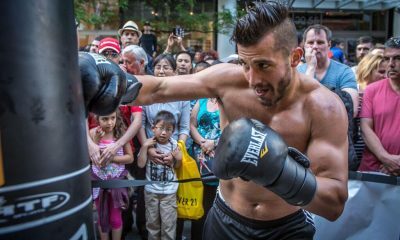 Indeed, the shifting landscape in the sport is a microcosm of a larger ongoing media trend, and boxing, in many respects, finds itself in the middle of the mainstream muddle. 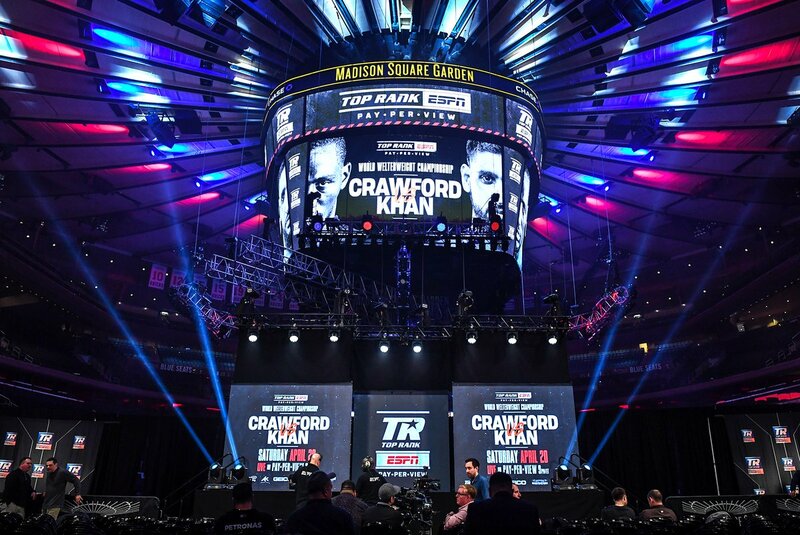 To this end, the two-day SBJ conference in New York afforded a chance to view the latest developments in boxing from a more holistic perspective, to see it in relation to the larger sports world. The Sweet Science was on hand to listen to — and on occasion, speak with — top sports media executives from across the spectrum. MLS Senior vice president Seth Bacon reiterated this belief. “Live sports are the center from which all cross-promotional content —storytelling, fandom — come back to,” said Bacon. 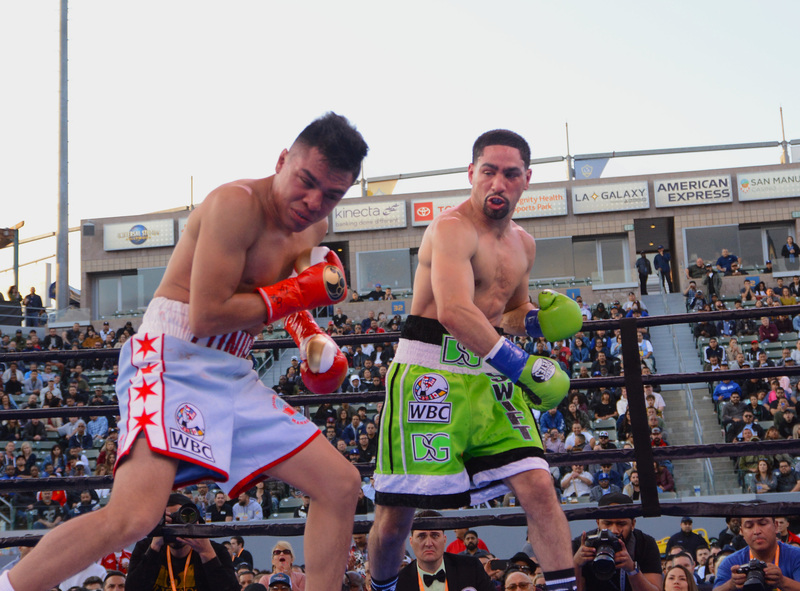 In boxing, the bustling streaming market has been a boon to boxers. Previously unconnected boxers, like Tevin Farmer and Danny Roman, are now making career purses after signing with DAZN. For the first time in decades, the highest payday for a boxer — at any level — is no longer tied to an appearance on HBO or, for that matter, Showtime. Since DAZN began in September, few weekends have gone in which there were not multiple boxing cards occurring — sometimes concurrently — from all around the world, from a variety of competing platforms. Some observers are convinced that boxing has turned over a new leaf and that the latest streaming ventures are evidence of a healthy sport. But it remains to be seen how long this level of pace and volume will last. The expectation is that once major rights are up for negotiation, DAZN will bid aggressively for pieces of mainstream sports, like the NFL, NBA, and MLB. In the meantime, that is where boxing comes in. But there are big question marks as to whether DAZN will be able to carve out what they require from boxing, a perennially hostile territory. The list of failed endeavors in boxing, after all, from crass peddlers to honest do-gooders, runs longer than most Senate bills. 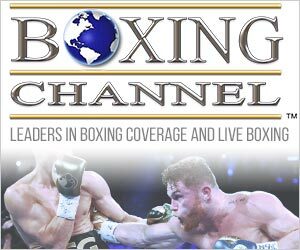 For all the ballyhoo that accompanied their US announcement earlier in the spring, the first card DAZN launched featured Jessie Vargas against Thomas Dulorme in boxing-averse Chicago. 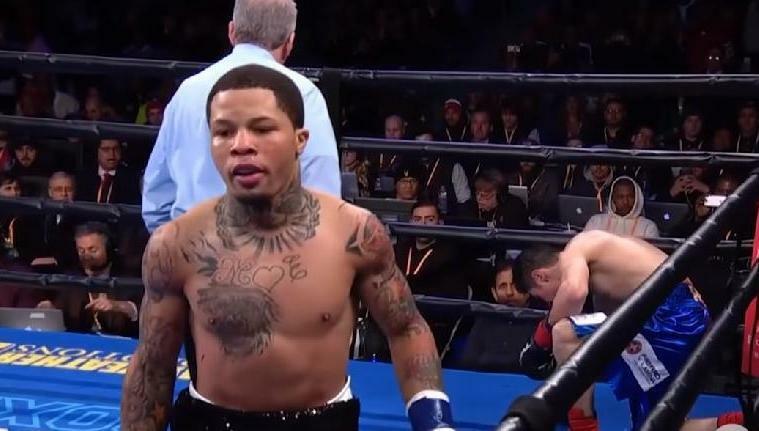 And despite the bellicose courting from Hearn, DAZN was unable to persuade some of the biggest names aligned with the PBC, including Adrien Broner, Gervonta Davis, and the Charlo twins, to join its ranks. No doubt, DAZN has dramatically improved its standing with the signing of Alvarez, and together with the UK’s Anthony Joshua, the platform can claim to have the exclusive rights to the two biggest box office stars on both sides of the Atlantic. Outside of those fighters, however, their roster quickly thins out. The November 17 card featuring Brandon Rios and Gabriel Rosado, two fighters way past their primes, is a tacky exercise in hodgepodge and mediocrity, and characteristic of some of DAZN’s bottom-heavy rotation. Yet part of their strategy seems to be working, at least as it pertains to the middleweight division. Three of the four major title belts belong to Alvarez and new signee Demetrius Andrade. The other title holder, Danny Jacobs, is currently a network free agent, but as he is promoted by Hearn, it is expected he will appear on DAZN before long. 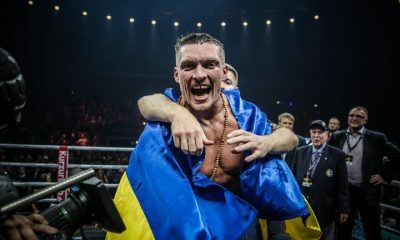 And if Gennady Golovkin decides to join as well, as reports indicate, his presence would then give DAZN a veritable hold on one of the more intriguing and competitive divisions in boxing. 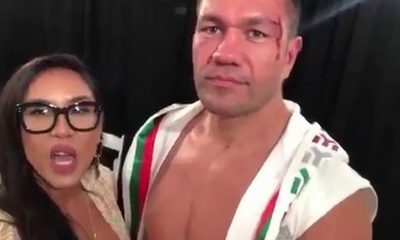 Not everyone is as aggressive as DAZN. When asked about the pressure to compete with highly-strapped competitors like DAZN, Portia Archer, NBC vice president of direct-to-consumer services, told The Sweet Science, “We’re not in the business of they do 65 (million), we’ll do 70 (million).” (Sports Gold, NBC’s subscription over-the-top service, currently offers ten sports, with three more soon to be added. While Archer acknowledged that her colleagues were currently working out a potential deal with promoter Main Events, boxing is not on the radar for the app). Such sentiment extends beyond the traditional power players. This scenario largely describes what is going on at Facebook through its free VOD service Facebook Watch. Currently, Facebook, which also owns Instagram, has rights deals with the MLB, LPGA, Golden Boy Promotions, high school football games in Florida, and various soccer leagues. Speaking specifically about boxing, Hutton explained that Facebook was not looking at boxing as “a short term, one fight, two fight sort of an experiment” and that he sees a natural affinity between the two. One of the questions brought up in Ourand’s article is if social media companies actually need to own the content to live sports. Sports-leaning social media users, after all, constantly engage with sports content that is not owned by Facebook, like the NBA and NFL, say. Hutton believes that there are clear advantages to owning the content outright. 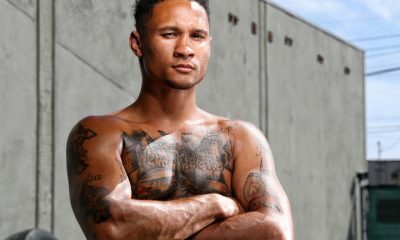 In the case of boxing, given its relatively simple structure — a small circumscribed ring and two righters — Hutton sees an opportunity for Facebook to experiment with the actual live experience with their robust virtual reality technology. Facebook owns the virtual reality company Oculus and has bought hundreds of patents related to VR and augmented reality technology. In the end, Hutton wants to offer a sports product that is sui generis, that only Facebook can offer. Drawing more viewers and subscribers is the mandate for any platform. But for a fixture like ESPN that has seen its viewership dwindle rapidly in recent years, the issue is existential. But during an interview with Ourand, Pitaro had some good news to share: For four quarters in a row, ESPN had seen a net subscriber decline. In other words, ESPN is still losing subscribers, just not as quickly as they once were. This also includes boxing — that is, Top Rank Boxing. The deal, struck back in 2017, was a major improvement on the usual club-fare shows that ESPN produced, namely through its Friday Night Fights series. ESPN would support Top Rank boxing through ancillary programming and a slew of primetime dates. Both parties seem to be enjoying a measure of success. Most recently in October, Terence Crawford-Jose Benavidez Jr. averaged 2.2 million viewers on a Saturday night, the second highest Top Rank-ESPN telecast since the beginning of their deal in 2017. 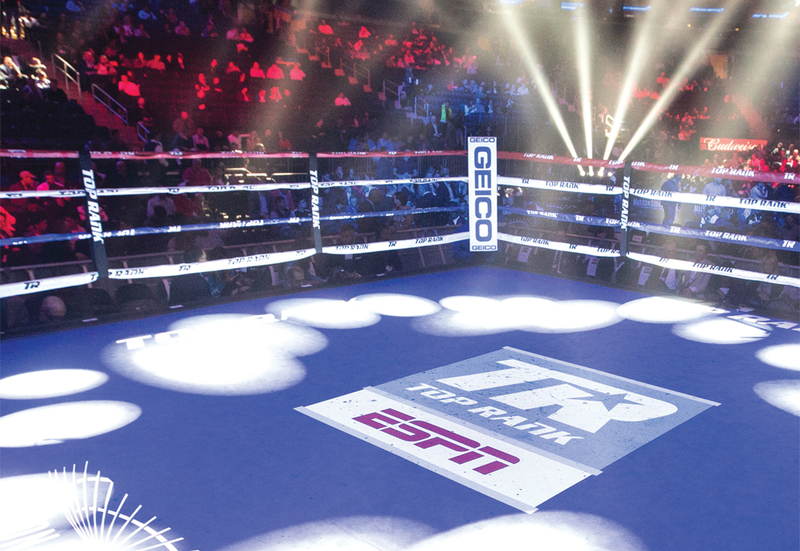 Earlier this year, Top Rank and ESPN renewed their partnership with a seven year extension to showcase 54 live events through 2025. Surprised by ESPN’s decision to strike up rights deals with combat sports entities, Ourand asked Pitaro, “If you would have told me 5 years ago that ESPN would have boxing programming and doing a deal with UFC I never have thought that would happen. What happened? 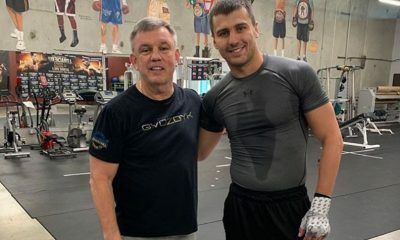 Pitaro singled out Top Rank president Todd duBoef for understanding exactly what their boxing programming needs to look like in order to attract more subscribers. 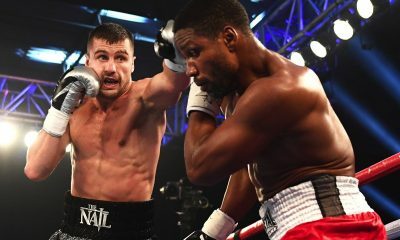 On ESPN+, Top Rank has shown fight cards from around the world, as far flung as Japan, Bulgaria and England. 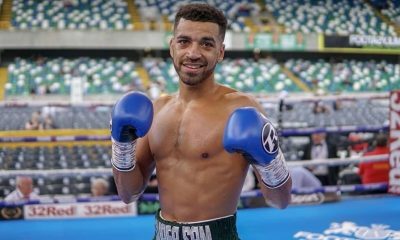 It also recently inked a deal with UK promoter Frank Warren to stream all of his fights on the app. All of which to say that there is an explicit corporate agenda in place for Top Rank, unlike its tenure with HBO, and that is to ensure that their fights drive subscribers to ESPN and ESPN+. So far, the results have been positive. In September, ESPN announced that the app had surpassed the one million subscriber mark, which many pundits considered impressive. (It should be pointed out that a reported roughly 300,000 of those subscriptions were brought in through ESPN’s existing paywall service, Insider). NBC’s Archer was also similarly skeptical, but believed that the new model that streaming presents is here to stay. “Our fans are focused on customization and personalization. They really want something that is for them. I don’t see the interest in recreating something that they formally had. If we could keep that principle in mind and figure out what the right mix is so that you don’t have 15, or 20 or some unmanageable number (of apps), then perhaps (that will work). The last thing an unregulated sport like boxing needs is more fragmentation, but the early signs suggest that the latest streaming deals have only reified the grand old political divisions. With Matchroom (and perhaps Golden Boy) now working exclusively with DAZN, Top Rank with ESPN, and PBC with Showtime and Fox, the current climate discourages collaboration. 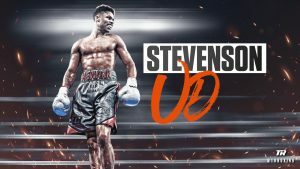 For example, neither a Terence Crawford vs. Errol Spence Jr. or an Anthony Joshua vs. Deontay Wilder fight is likely to materialize anytime soon because of conflicting broadcast alliances. Such conflicts are nothing new, but with promoters now incentivized to spur the subscriber base of their respective broadcasters, there is one less reason to come to together at the table. DAZN, for example, is not about to let Joshua, its marquee signee, hop over to Showtime/Fox to fight Wilder — not when it has a business to build. Back in May, The Sweet Science asked Top Rank’s Todd duBoef if he had any intention to let 140-pound champion Jose Ramirez participate in the WBSS series to face the other top fighters in the division. duBeof’s response was instructive. “I’m building an enterprise here,” he answered. “Why would I work five years developing a product just to give it away?” If Top Rank feels that strongly about Ramirez, why should it be any different with Crawford? HBO is gone, yes, and the boxing landscape may look more different than ever, but the same problems appear no closer to being solved.